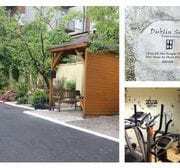 Dublin Simon Community provide residential alcohol detox, recovery and aftercare services for people who are homeless or at risk of becoming homeless through its services at Ushers Island. The main focus is to get clients into independent living once they have completed the necessary programmes and steps to recovery. An individual who is experiencing homelessness and suffering from an addiction issues needs a range of support services and medical assistance to help them on the path to recovery. Therefore it’s vital that they get access to the relevant wraparound programmes available at Ushers Island. Dublin Simon Community understand that coming in for treatment can be a very stressful event for clients and we would like to reassure them that they will be kept safe and comfortable during the process. The Stabilisation/Respite residential service is primarily for those who are homeless and HIV positive but who may also have complex needs such as alcohol and/or drug addiction and other complex health problems such as Hepatitis C or mental health Issues. The service is a safe, comfortable, professional place where clients can work towards stabilising their health and lifestyle in a supportive environment. It’s an opportunity for clients to get off the streets and get assistance with putting their health to the top of the agenda again. 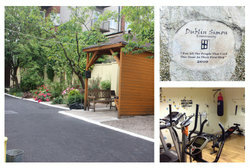 The Dublin Simon Community Residential Detoxification Unit at Ushers Island is the only one of its kind in Ireland. The aim of the detox unit is to provide a safe, supportive, medically assisted alcohol Detoxification Service to allow individuals to address their alcohol addiction. This is a short term treatment intervention which enables clients to begin the process of recovery from alcohol misuse. The Recovery Service is focused on providing a supportive, comprehensive service at the early stages of Addiction Recovery. Each individual’s journey to and through recovery is a deeply personal process, as well as being related to the individual’s community and society. The Simon Sure Steps Counselling Service was established in spring of 2012. The service supports clients who are exposed to homelessness to identify and connect to their inner strengths develop psychological coping skills. You can learn more about the work that the counsellors do with clients here. The aim of the Health and Wellbeing service is to help people achieve a balanced lifestyle through means of health education, nutritional advise, movement and mindfulness activities. Developing confidence is the main aim at the Health and Wellbeing service with the goal being to help restore client’s confidence. Confidence that may have been lost through years of addiction, relationship breakdown or any other reason one may find them self looking to us for help. Read more about the Health and Wellbeing service here. You can help support services like those provided by the Dublin Simon Community at Ushers Island by making a gift of whatever you can give today. Thank you for your generosity. If you would like to learn more about the above services then please click here or feel free to contact us, full details here.